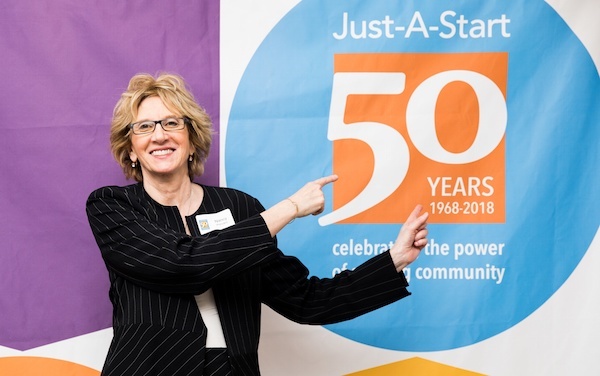 On November 15th, 2018, Just-A-Start (JAS) will host the organization’s first Gala at Cambridge’s Royal Sonesta Hotel to celebrate 50 years of community collaboration, partnership, and impact. The final large-scale event of a full year of community gatherings, the Gala will bring together individuals from across the organization alongside community partners, employers, donors, and elected officials. The event will offer guests the opportunity to look back upon and celebrate JAS’s first fifty years, as well as to look forward with excitement to a shared vision for the organization’s future. In keeping with the community and archival themes of the anniversary year, guests will enjoy several installations of JAS’s photographs, stories, and artifacts from the past 50 years. Gala attendees will be able to commemorate the major milestones of the organization’s history and timeline, sharing stories from JAS’s origin as a community revitalization and youth training program all the way through its present position as a community development corporation serving 3,500 youth and adults across Cambridge and nearby communities. The Gala’s speaking panel will feature friends of JAS who will offer stories, memories, and reflections for the organization’s milestone year. 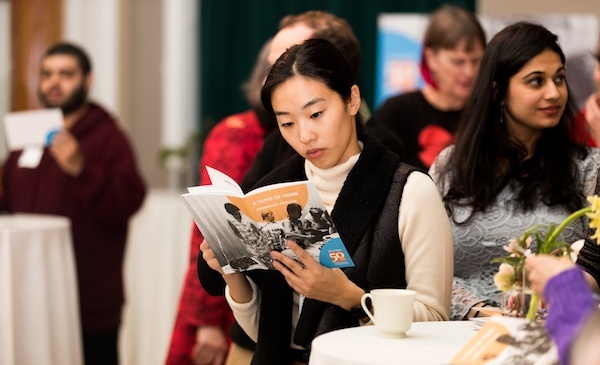 In addition, JAS will debut a commemorative video at the event that compiles footage, interviews, and testimonies from the community, as well as a publication that will encompass both old and new, celebrating where JAS began and sharing insight into the goals for its next fifty years of accomplishments. 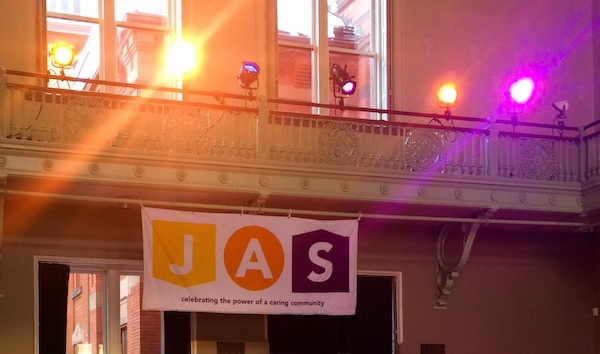 Ultimately, the Gala will highlight the mission that has always been at the heart of JAS, for the residents of Cambridge and beyond: access to a safe home and a sustaining career. 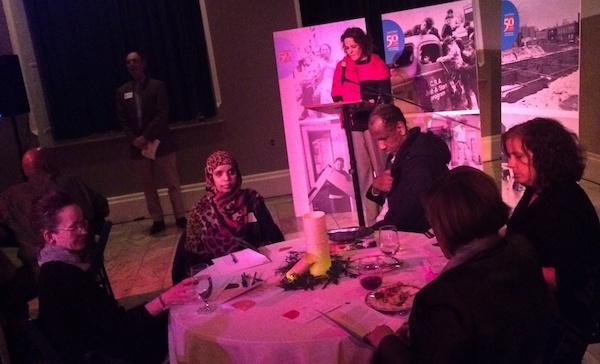 Thank you to everyone that joined us at our 50th Anniversary Gala on November 15th!